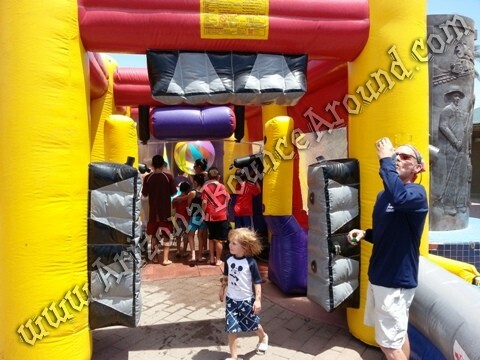 This inflatable walk thru misting tent rental can be a great addition to any size party or event on a hot summer day! 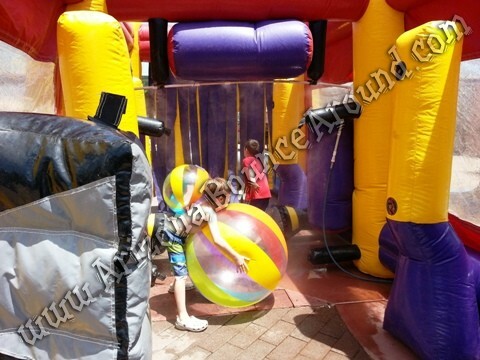 Our inflatable car wash misting tent can be used as a walk thru misting tent and can handle large crouds with ease. Whether a party at your house, school or sports game, you can stay cool it in style. 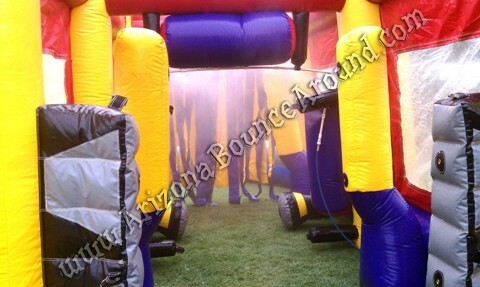 It is lined with professional misters to keep you cool during the hot Arizona summer. 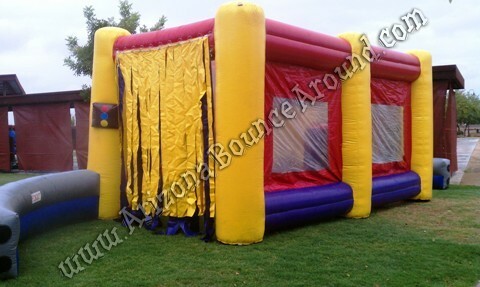 Comes complete with professional misting system and 300psi misting pump. Add our foam machine to your party rental for a real car wash effect. 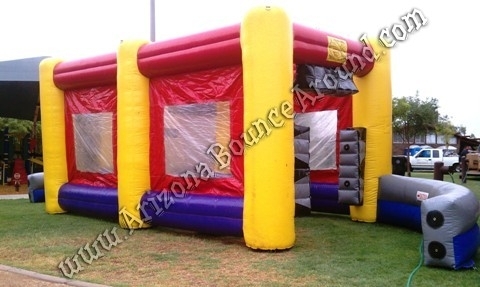 Rent a misting tent in Phoenix or Scottsdale AZ today from Arizona Bounce Around.